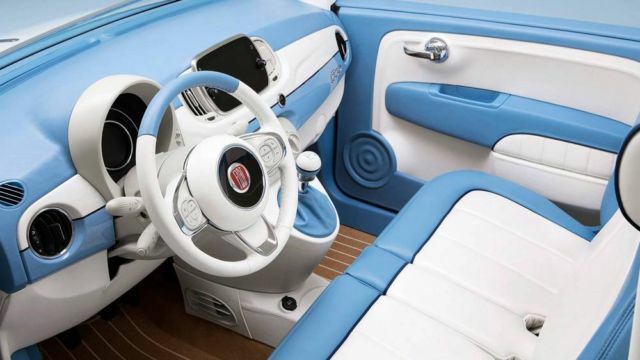 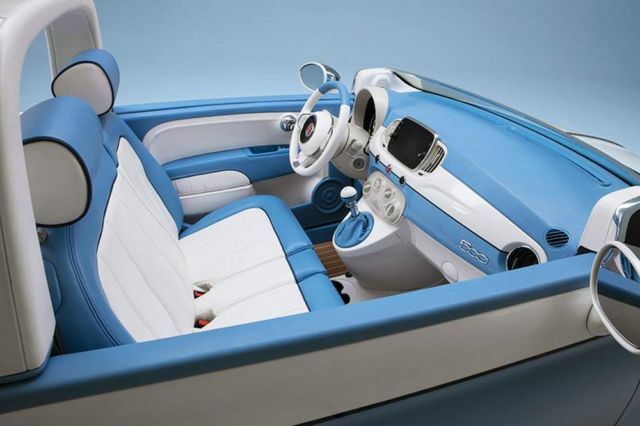 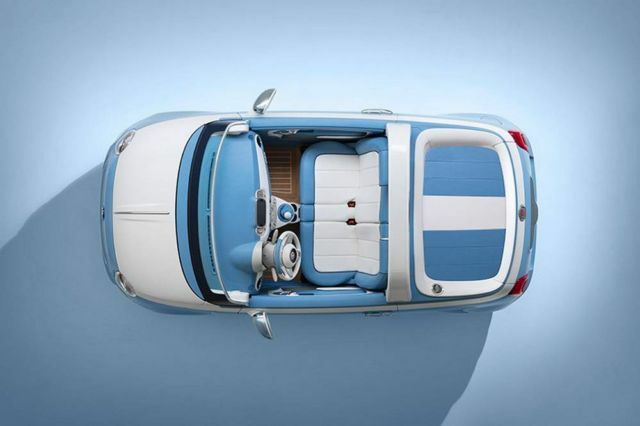 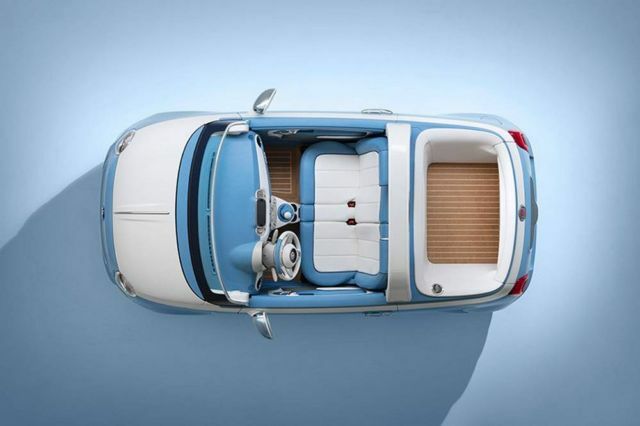 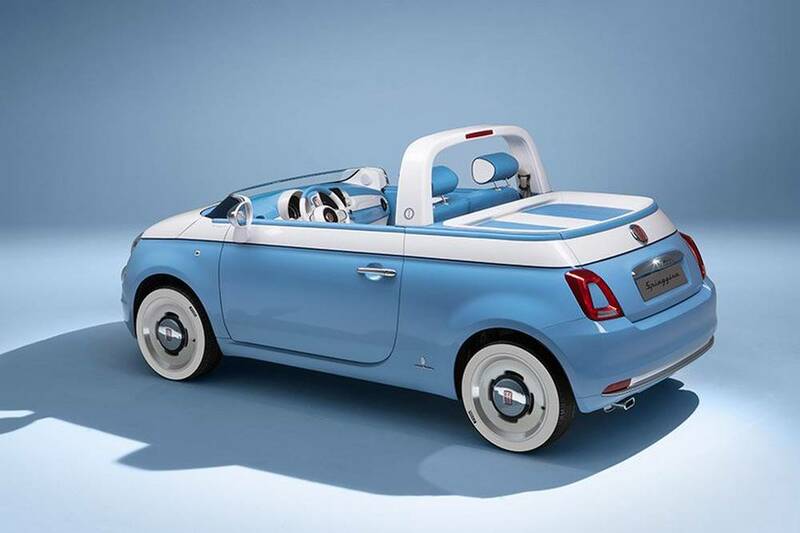 The Cinquecento Fiat turns 61 years old and the Jolly Spiaggina version is 60. 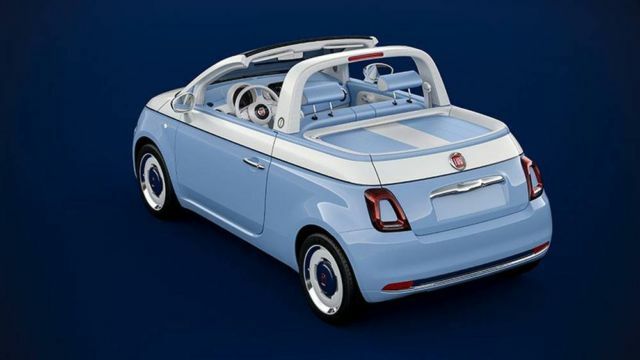 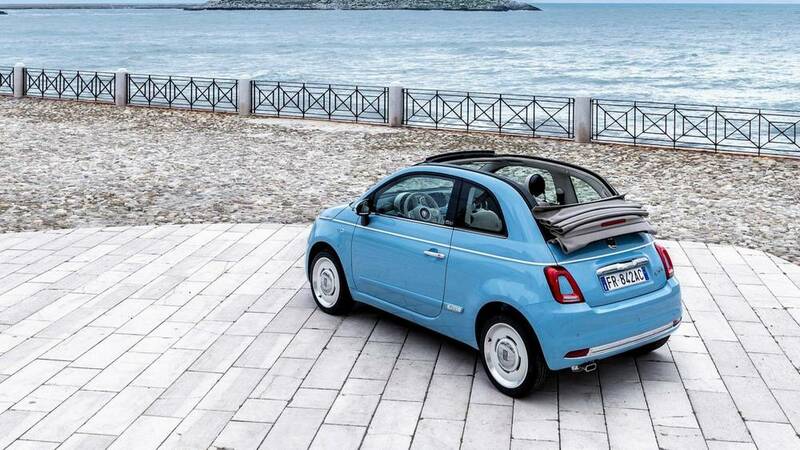 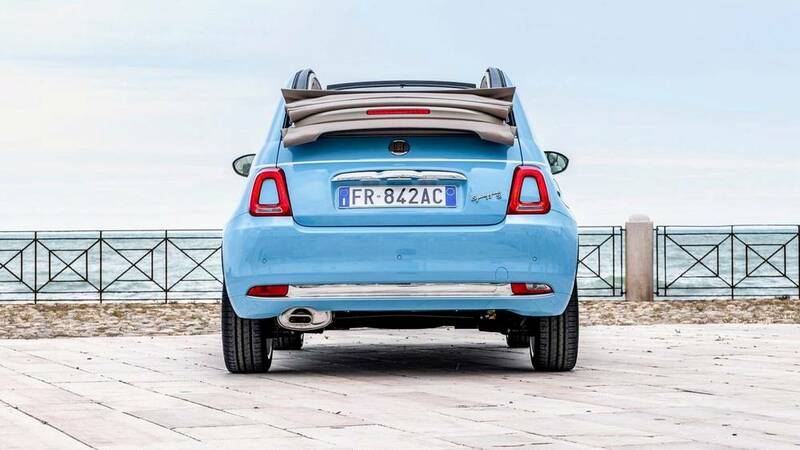 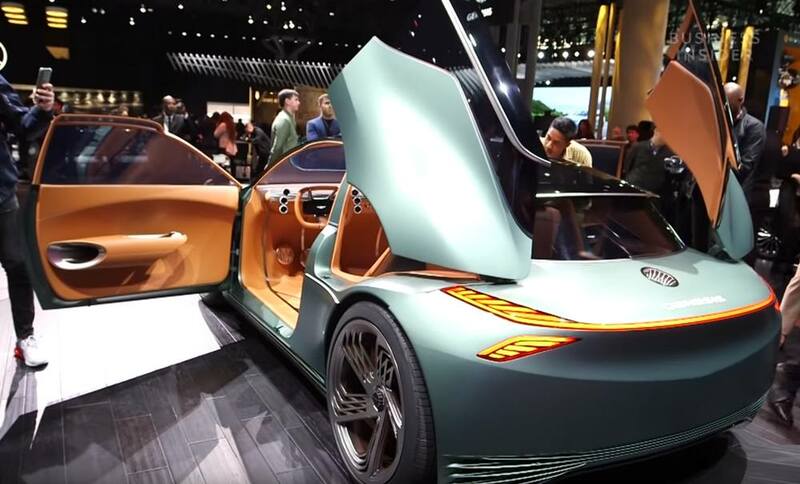 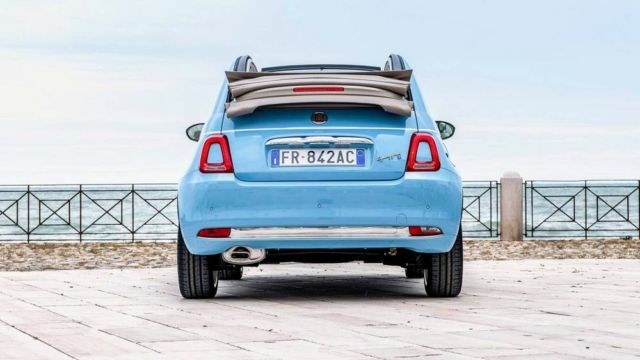 To mark this occasion, Fiat and Garage Italia decided to modify the modern version of the Fiat 500 convertible into this one-off model. 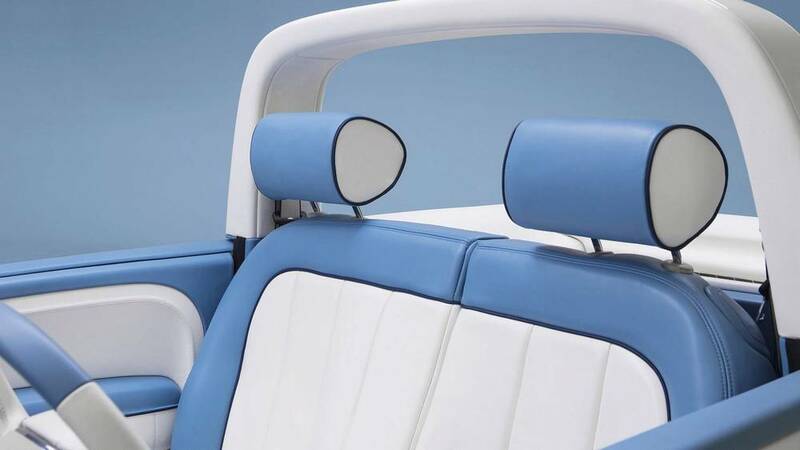 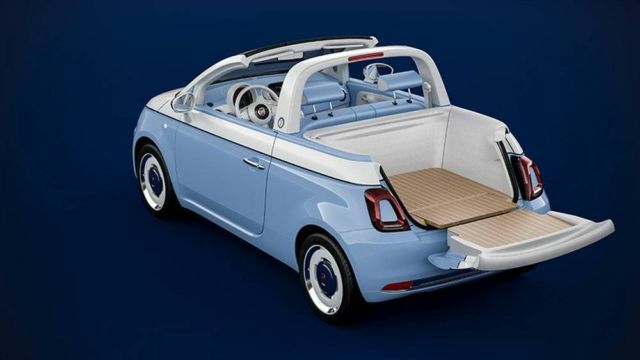 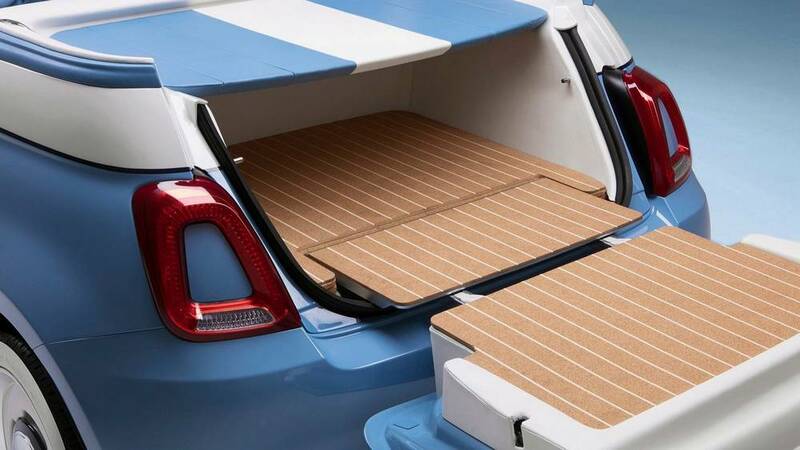 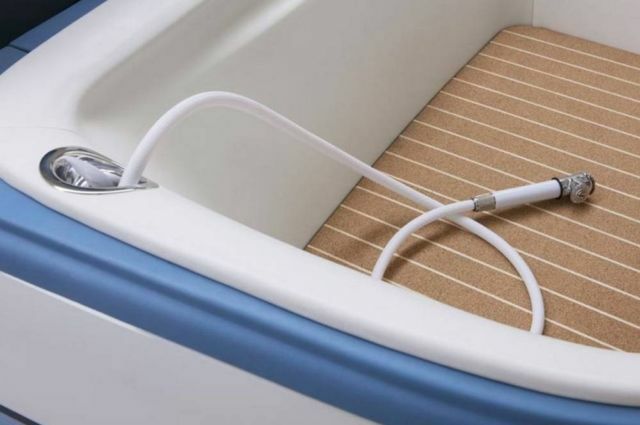 The new 500 replaces the rear passenger area with a deck area for storing beach gear.